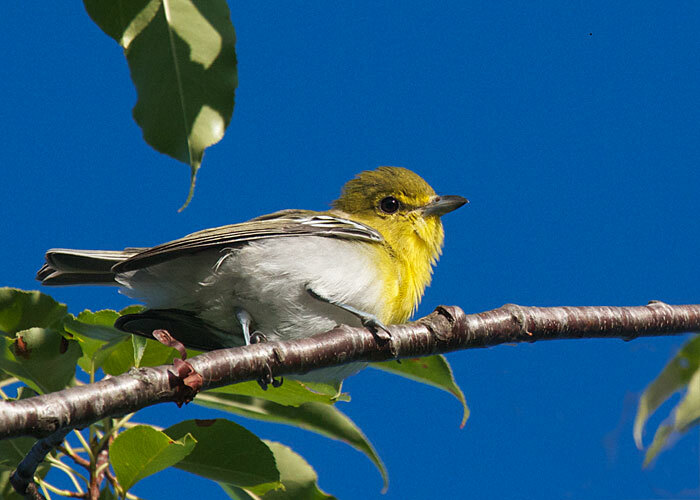 A yellow-throated vireo came out of the foliage this morning to look at me, and in that moment he was seen. I've been hearing his song all summer. It's a loud whistle that sounds like Three-Eight! I love the yellow eyering that passes across the top of the bill, like a pair of glasses.